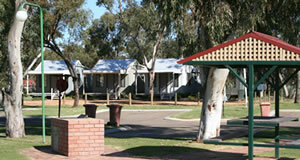 Moora is an RV Friendly Town. 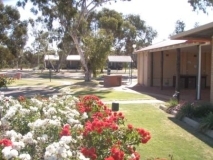 The Shire of Moora Caravan and Chalet Park can be found nestled amongst Salmon Gums on the banks of the Moore River just a 400m walk from the town centre. 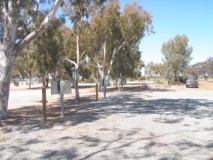 The caravan park is located opposite to Moora IGA and adjacent to the Moora swimming pool and Apex Park. 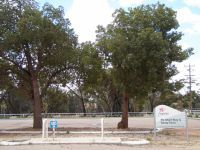 The entrance to the park is off Dandaragan Street, in Moora, approx. 100m West of the intersection of Dandaragan and Roberts Street. Big rigs are welcome to park in the truck parking bay opposite the shire offices (34 Padbury Street). Parking is also available for smaller rigs next to the Moora Community Resource and Visitors Centre (65 Padbury Street) and in the Roberts Street car park opposite IGA (The RV Short Stay area is also located here, at the far end of the car park). Located at the Miling Sports Reserve this rest area includes power, toilets (including disabled access) and shower facilities. Cost is $20/night. Please see the Miling Travel Stop or contact Mary Johnson - 0428 251 951. 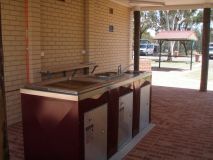 Located next to the Watheroo Station tavern, situated 37 kms north of Moora along The Midlands Road. This fabulous rest area is situated amonst the trees and includes all amenities such as power, toilets and shower facilities. Enjoy the use of the BBQ area located directly opposite the sites or take a walk next door to the tavern to enjoy a delicious meal. Cost is $15/night. For further information or to book, please don't hesitate to contact The Watheroo Station Tavern on 9651 7007.